If it's happening at APA, it's in Interact. Our award-winning e-newsletter delivers APA news, resources, and opportunities to members every week. Don't miss it! keep up with apa! Read Interact. Each short, sharp, and to-the-point issue brings the latest on all things APA. 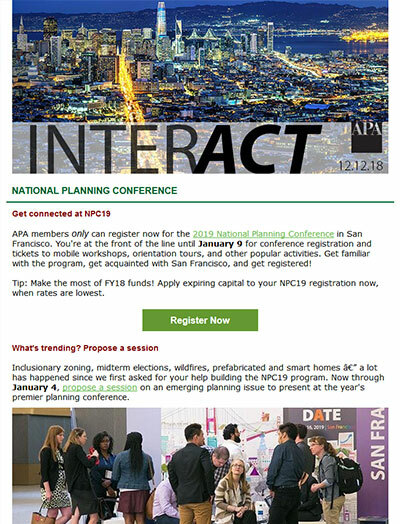 Look for Interact in your email inbox every Wednesday. If you're not receiving Interact, click here for help.